Looking for the perfect date night plans? Fancy some fine dining or looking for a quick bite before the show? We’ve teamed up with Wivenhoe House and The Olive Branch to offer you two delicious dinner options for our Live Screenings. Head to Wivenhoe House and enjoy a free glass of prosecco with your meal! Show your ticket or booking confirmation email and you’ll get a free glass of bubbles. Dinner is available from 5pm and Wivenhoe House is only a 5 minute walk from the theatre. Visit wivenhoehouse.co.uk or call 01206 863666 for more information. 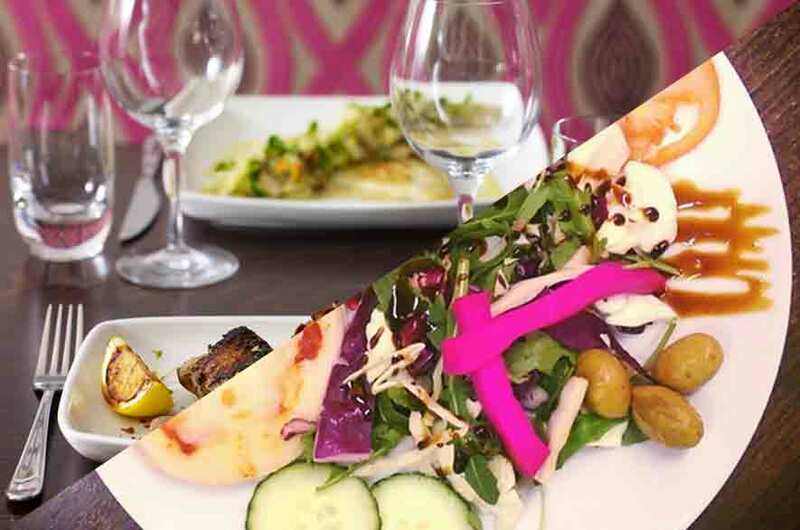 Wivenhoe favourite The Olive Branch will be serving authentic Syrian food in our Cafe from 6 – 7pm. Fill your boots with delicious falafel, hummus and wraps, the perfect quick bite before the show starts. Keep an eye on our Facebook and Twitter accounts to be kept up-to-date with when they’ll be here.